*Warning! Due to the nature of the game being reviewed, the following article contains imagery and wording of a disturbing nature that is not suitable for a young audience, reader discretion is advised. Welcome to the Mount Massive Asylum. Checking in is easy, it’s escaping alive that’s the hard part! Since the Nintendo Switch first made its way to the general public, it has had no shortage of games for Switch owners to play. There are platformers, sports games, adventure, RPGs, puzzle games and even Horror games, and after a few bad ones, I’m glad to say we have another Resident Evil Revelations on hands. In what was a release that came out of nowhere, with almost no warning whatsoever, Red Barrel’s previously Switch confirmed, first-person Outlast, had a stealth release in the eShop and it has been the source of many gamer’s nightmares since. That’s not to say Outlast hasn’t been scaring a lot of us, out of our pants back when it released in 2013, but now it’s getting the chance to freak out Nintendo gamers and it is a horror game worth celebrating as it truly lives up to the praises it previously received. So, how about we dive right into the story, since there is a lot to go through! 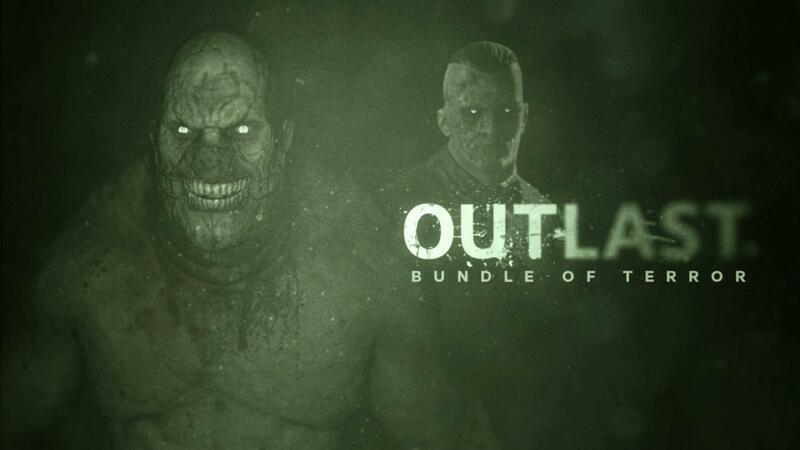 The events of Outlast: Bundle of Terror, follow the actions of 2 protagonists, with Miles Upshur being one and Waylon Park of the other. In the main campaign, Miles is an investigative journalist who heads to the Mount Massive Asylum, in the remote mountains of Colorado. Due to an email that made its way to his hands, the email states that the “research and charity branch” of the Murkoff Corporation is up to no good and someone needs to expose the horrors that are happening here. So naturally, once he has pulled up to the compound and snuck inside, Miles’ quest for the truth can begin, but once inside, it’s not too long before escape becomes the only thing Miles can think about, because the horrors he will witness, have to be seen to be believed. From Project Walrider, to the Morphogenic Engine, human cruelty, a sinister force of evil ready to make its move and an asylum full of experimented patients that have had almost every shred of humanity ripped from them. Long story short, Outlast has some grotesquely colourful characters that do very wicked things to one another and the worse ones are the ones you’ll be seeing the most of, as characters like Chris Walker, will virtually hound your every step and strive to kill you at every turn. Should you make it to the end of the game though, surviving many panic-inducing moments, let’s just say that after all the suspense throughout, it leaves you wanting for more and does not properly justify everything that happened beforehand. With regards to the actual gameplay and execution, as a first-person horror game, what you see, is what Miles sees. You are Miles, he is you and light is as much as your friend as it is your enemy. After all, if you can see the Variants, they can see you and Miles is not much of a fighter. In fact, he’s not a fighter at all and all the player can do when things hit the fan, is run (hold R and use ZR or ZL to look behind you as you run), hide and hope you don’t die. Darkened areas will give you some cover, but unless you’re under a bed or in a locker, the Variants will find you and they will kill you. Should you be able to close a door though behind you (press Y to quickly open or close and hold Y whilst moving the analog in the direction required to open it, to gently open a door,) you will succeed in slowing the Variants down, but not for long, so always try to run to somewhere you’ve already checked out before, you won’t live for very long if you don’t! Joining Miles on his adventure though that is so packed with shock scares, chase scenes and a soundtrack that changes temp whenever necessary to truly set your heart racing and want you of an incoming threat, is Miles’ trusted camera. When not collecting the documents that are available for discovery all over Mount Massive Asylum, by filming certain events, (R to bring up the camera, Up & Down D-pad buttons to zoom in and out,) Miles will compose a note on them, which can be read with the Left D-pad button, with the Right one allowing you to read the documents. Should you press the right analog stick in when filming though, that’s where things change. The act will allow you to record in night vision and allow you to see in the dark, thus aiding you in your quest, but it’s a temporary purpose. When the battery empties and it will deplete, it’s no more night vision and with that gone, you may as well sign your own death certificate, because you will soon become a victim of the dark, so to give yourself a fighting chance, you will end to pick up batteries wherever you find them as they help you survive. Another thing you’ll want to do a lot of, other than keeping an eye out for batteries and conserving your battery power whenever possible, is peaking around each and every corner and door, because there are many times that ZR and ZL peek, can prevent you from having a terrible run in, much like how A can be used to crawl across the floor, when certain enemies are looking in the direction you were once standing in a few seconds ago. But, even if you do everything right and you are able to somehow beat the main game, on the hardest difficulty setting (of which there are 4,) the nightmare is still not over, for Outlast: Bundle of Terror also comes packaged with the Whistleblower DLC free of charge. What this means is, a secondary story awaits you that acts as both a prologue to the main campaign, but also ties into the events that Miles experiences, except this time it is Waylon Park’s turn to go through the nightmare and face monstrous fiends of his own that are every bit as demented and cunning as those Miles had to deal with. So yes, just when you think have seen all there is to see, there is another campaign that is practically a game in itself, ready, waiting and willing to put you through your paces once more and scare you in ways the main campaign failed too. But the best bit about Outlast on Switch, Video Capture is supported, so if there is a scene you want your friends to see, all you need to do is record it! With crisp and highly detailed graphics, a 30fps framerate whether you’re playing handheld (720p) or TV mode (1080p,) and a story that takes inspiration from real asylums, settings and people, Outlast isn’t just another horror game, it’s a great one. Yes, it can get very repetitive with all the running and hiding, but for the justifiable price of $24.99, it will have you on the edge of your seat and making you see a side of humanity you really didn’t need to. So, if you are looking for a thrill ride and a decent scare, look no further, for Outlast is here and its sequel will be Switch ready on March 27.